Aeromexico is taking to the skies over Colorado and offering seasonal service between Denver and Mexico City. Daily flights will run from December 14 through April 4, with two flights a day during the holiday rush between December 18 and January 11. Both Denver and Mexico City have a lot to offer travelers. 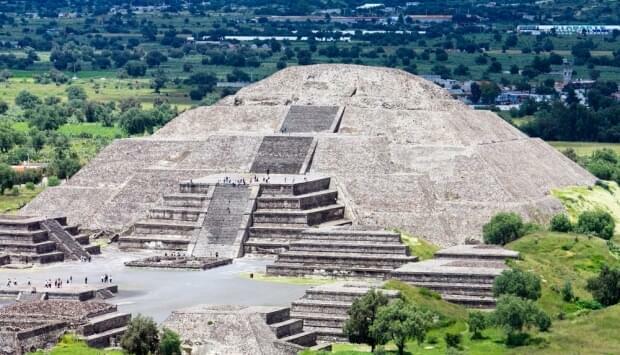 While visiting Mexico City, you can explore the ancient pyramids of Teotihuacan, visit the Metropolitan Cathedral and wander about the National Museum of Anthropology. Travelers from Mexico can get in some time on the winter slopes just outside the Mile-High City. Skiing or snowboarding, anyone? Aeromexico will fly its Boeing 737-700 and 737-800 aircraft on this route. If you don’t want to spring for business class, you can try the carrier’s AM Plus service, which is offered on both aircraft. Those seats are in the first three rows of the main cabin and they come with more legroom, priority boarding, a better recline and leather headrests. Aeromexico’s frequent flyer program is called Club Premier. A round-trip award flight between Denver and Mexico City booked during the low season costs 56,000 miles for economy and 96,000 miles in business. During the peak season, which includes holiday travel, economy seats cost 60,000 miles, and business is 112,000 miles. What if you’re not a Club Primer member? You’re in luck because Aeromexico is a founding member of the SkyTeam. That means you can use miles from any of the 20 SkyTeam member airlines, including Delta, to book your Aeromexico award flight. And if you’re a SkyTeam Elite Plus member, or if your flying in business class, you’ll get access to the SkyTeam Lounge in Mexico City airport. In fact, there are three SkyTeam Lounges in the airport: One’s located in Terminal 1, and two more are located in Terminal 2.